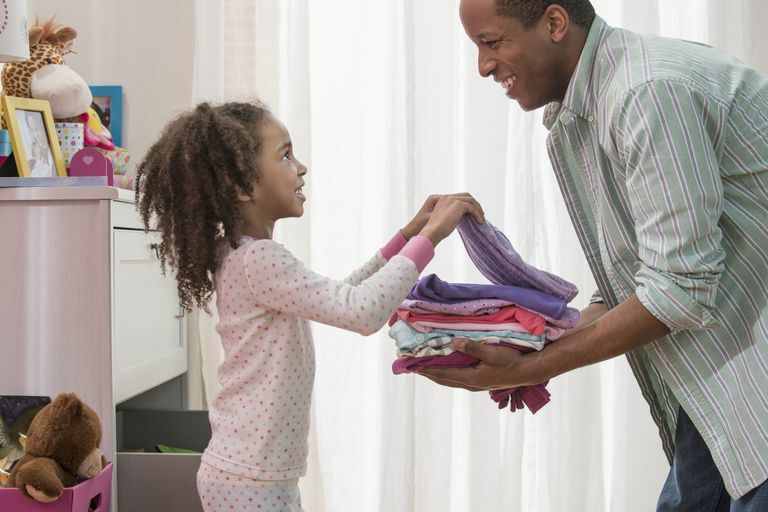 Reward systems can be one of the best ways to improve your child's behavior. And the best news is, a well-designed reward system will work fast. Many parents assume rewards need to be extravagant items. But rewards don't have to cost any money. There are many free and low-cost ways to reward kids. In fact, you can use many of the privileges your child likely enjoys already. Just make sure your child is invested in earning the incentive. While one child may be motivated by extra TV time, another child may be motivated by a trip to the park. So offer rewards that are specific to your child's interests and needs. While you shouldn't reserve praise for giant achievements, you can definitely use words of encouragement as an incentive. When your child knows you're paying attention to his effort, he'll be motivated to keep up the good work. So catch your child being good and praise his efforts often. There are times when praise isn’t enough and kids need a little extra incentive. A treasure box filled with items from the dollar store can go a long way toward keeping kids on track. Let your child choose a reward at the end of the day if he's met his goals. Or, consider loaning something to your child. If he loves borrowing your hat or he likes using your office chair, let him use it if he's earned it. Although some parents are hesitant to allow kids to stay up later, allowing your child to stay up an extra 15 minutes isn't likely to make him sleep deprived. And a later bedtime can be a big motivator for kids. Younger kids will often feel like a “big kid” and it can be a great incentive if they are able to stay up later than their siblings. If you have a child who has difficulty sleeping though, choose a different incentive or only offer it on nights when she can sleep in a little longer the next day. Choose a special activity that your child will enjoy and use it as a reward. Playing a board game together, going to the park, or an extra bedtime story are just a few special activities that your child might want to earn. Look for free community events and utilize resources like your local library which often have special events. Although it's important to ensure your child's electronics use is limited, you can make time on digital devices a reward. Just make sure you put a cap on how much time your child can earn each day (such as a two-hour limit). You can offer screen time rewards in 15-minute chunks. If your child follows the rules before school, he might earn 15-minutes of screen time. If he has a good day at school, he might earn 15 more minutes. You may want to pick a specific behavior to address, like respectful words or gentle touches. If your child exhibits those behaviors during the specified times, he could earn screen time. Most kids love to get creative and messy. And often, you can create things with regular household items. Paper bags make great puppets. Cotton balls and glue can lead to endless creations. Build a model, make some jewelry, or get out the finger paint as a reward for good behavior. Kids love to earn coupons that say things such as “get out of having to do one chore” or “get to choose your favorite meal for dinner." Allow your child to use his coupons whenever he wants (within reason). Allow kids to earn extra social opportunities such as inviting a friend over or having a sleepover. Other free rewards can include inviting a friend to the park or going to a community activity. Although it’s not a good idea to offer junk food as an incentive, there are some ways to incorporate food into a reward system. For example, allow your child to choose what’s for dinner if or let her earn an indoor picnic. Get creative and build a fort out of blankets and eat under the glow of a flashlight, if that would motivate your child to follow the rules. Baking a special treat together may also be a great motivator. Token economy systems provide kids with chips or tokens on a daily basis that can later be exchanged for rewards. Provide your child with a varied reward menu that allows her to earn bigger rewards. You can offer free rewards such as “a trip to the park” in exchange for 10 tokens. Sticker charts can be very rewarding for younger children as well. Ask your child what types of rewards she would like to earn. You might find simple things, like sleeping in a pillow fort or visiting a park, work to motivate her to behave. Once you have your list complete, identify what she needs to do to earn her first reward. Be specific and don't make it relatively simple for her to earn her first reward. Success will fuel her desire to keep up the good work.